One of the first things that I teach in my online photography courses is how to get tack-sharp focus. I teach it first because, if an image isn't in sharp focus, it isn't a keeper. It's that simple. For new photographers, it takes some training to be able to see if an image is sharply focused and where the sharpest focus is in the image. But with a little practice, you can evaluate the focus and know if you got sharp focus in an image or not. And once you learn how to look for sharp focus, it's hard to keep images that are soft or where the focus is in the wrong place. By setting the sharp focus, you guide the viewer's eye. In other words, sharp focus provides a landing place for the viewer's eye, and it tells the viewer what you consider to be the most important part of the scene or subject. In fact, when viewers first look at a photo, the eye is drawn to two things: 1. The sharpest focus, and, 2. the brightest highlight. So you have control over the viewer's first "look" at your images. Certainly shooting speeds up when you let the camera automatically choose the autofocus points. But the camera doesn't know what the subject is, so it looks for whatever has the highest contrast in the scene or whatever is closest to the camera. Very often, the highest contrast in the scene is in the subject's clothing, and not in their eyes which is where the sharp focus should be. Select one and only one autofocus point. The single best way to get tack sharp focus is to use One-shot Autofocus mode, and then manually choose only one autofocus point--the one that is on top of the point in the scene/subject that should have the sharpest focus. For example, in a portrait, manually select the focus point that is on top of the subject's eye that is closest to the camera. 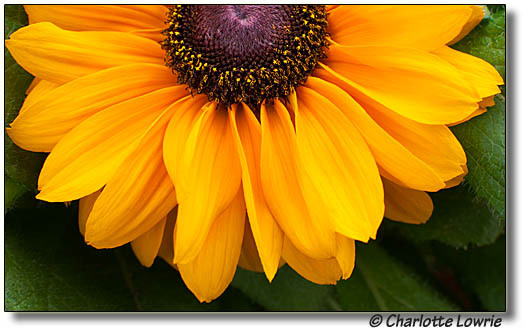 In a flower shot, choose the one autofocus point that is on top of the center of the flower. Manually selecting the autofocus point is slower than letting the camera automatically select it, but the extra time you spend manually selecting the autofocus point pays off every time. Do not use the focus-lock-and-recompose technique. With this technique, you half-press the Shutter button to focus, then you move the camera to better compose the image. In many cases, the focus-lock-recompose technique will shift focus just enough to throw off sharp focus. A tripod is your friend. Really. When the shutter speed slows down too much, just know that you're not steady enough to handhold the camera and get a sharp image. The rule for non-Image-Stabilized lenses is that the slowest shutter speed at which you can handhold the camera and get a sharp image is the reciprocal of the focal length. 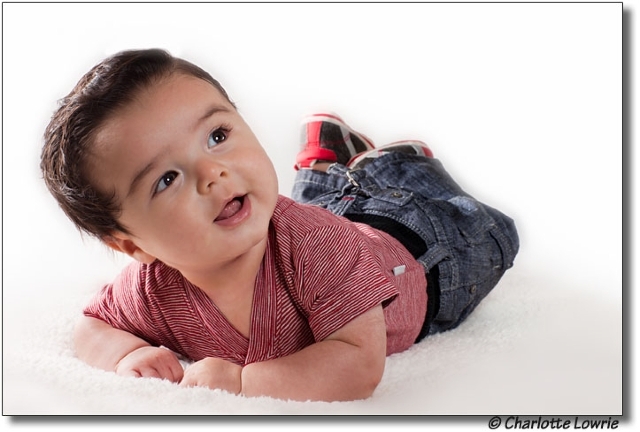 In other words, if you're shooting a portrait with an 85mm lens, then 1/[focal length of 85mm], or 1/85th sec. is the slowest shutter speed you can have and expect to get a sharply focused image. With an Image-Stabilized (IS) lens, you can push this by two to four stops, but everyone has different levels of steadiness, so test yourself with your IS lenses before just assuming that you can use IS with virtual impunity. Of course, you can also increase the ISO, but keep in mind that you want the best overall image quality the camera can deliver, so use as low of an ISO setting as possible, and don't hesitate to use a tripod or monopod. Also ensure that the tripod head is rock solid with no drift. Calibrate your lenses. Many of Canon's newest cameras including the EOS 7D enable you to calibrate your lenses to eliminate back and front focusing. This can be a tedious task, but if you have lenses that routinely focus just in front of or behind the subject, then it's worth learning how to calibrate your lenses. And if you think you've gone too far with calibration, you can always reset them to the original settings. Use a lens hood. When you get hazy images where the focus is soft and the color looks too light and hazy, you've got lens flare. The best way to avoid it is by using the lens hood that came with your lens, or by cupping you hand around the edge of the lens where stray light is entering. Turn on the AF point display on your camera. Cameras including the 7D include an option to display the autofocus point that achieved sharp focus on the preview image. Use this option, and then zoom in to ensure that the sharp focus is precisely sharp and in the correct place before you stop shooting a subject or scene. Focus is critical at super-wide apertures. If you're using a super wide aperture such as f/1.2 or f/1.4, then getting critically sharp focus is essential due to the extreme shallow depth of field; otherwise, the entire image will look soft. With a little practice and slavishly careful work, you can master tack-sharp focus. 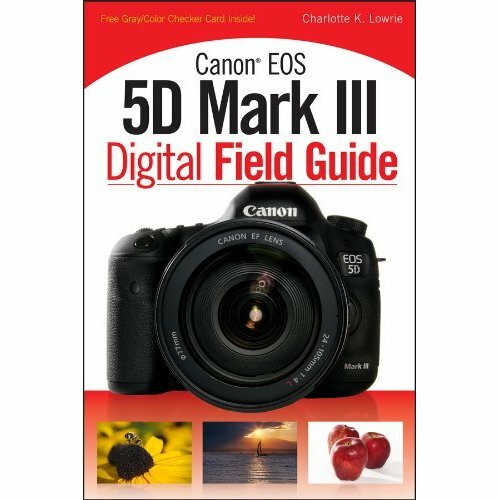 Also be sure to check out my book, the Canon EOS 5d Mark III Digital Field Guide.